Students with drive? No probs, we have PiE! But yeah, before we start cartwheeling across Memorial Glade half naked and screaming from the top of the Campinile about how great we and PiE are, let us focus on what this contest and the group are even about. The word “winning” is always an exciting, delicious thing to hear. Come on, who doesn’t like to be awesome at something and then praised [and in this case, win big bucks] for their accomplishments? It’s a rhetorical question, in case you were about to answer. 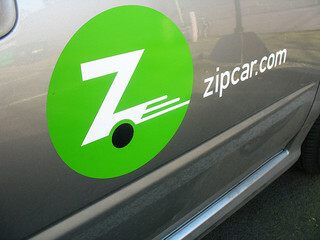 Zipcar is the company that for an hourly rate allows people, especially college students, to borrow the car for an allotted amount of time. Yay for Berkeley kids, the majority of whom don’t have cars for multiple reasons – the city’s one way and confusing streets being one out of several. And with the apt, oh-so-punny name of “Students with Drive”, their contest asks organizations and clubs who want some money, “How will you use Zipcar?” And that’s it. If you have a great idea and you come out on top in terms of votes, then you win. For the month of November, we’re looking at $5,500 Zipcar Dollars that the winning club could use to spend on Zipcar transportation. PiE is a group on campus that focuses on bringing an “exciting 7-week robotics competition to underserved schools around the SF Bay area”, and their hopes in winning the competition this month stems from their need for an inexpensive means of transportation to get around to those schools and help students build their robots. Hey, sounds legit and flat-out cool. Other criteria are Arts, Athletics, Community Service and Student Life, all which have organizations and clubs with incredible and truly inspiring ideas. If you want to check out the list and *ahem* VOTE (YES, VOTE), then click right here and you’re set (you’ll have to sign into Facebook). So yeah, there’s what’s going on in the world and um, yeah, how Cal’s doing in terms of this competition: winning. Winning, winning, winning. Okay fine, let us not get too excited, but if you go out and vote, and then tell all your other friends to vote as well, then heck – we got this in the bag. Good luck, PiE. The unfinished robots of adorable students need you.